Many teachers tell me that it is their creativity that limits their ability to be adaptive in the classroom. Somehow the “reform” movement (or should I say re-movement) has pigeon-holed itself into a connotation where high-energy teachers give vague tasks to groups of interested students. Out of all this, curricular outcomes explode in no particular order. This can’t be further from the truth. In my view, the biggest steps toward changing student learning is changing teacher perception. When presented with a topic to cover, there are two dominant ends of the Math-Ed spectrum. First, you have the transmission approach which carefully selects examples that represent the questions of that type that will be encountered in homework packages and on unit exams. The teacher can predict exactly what the class will look like, and students have very little control. Second, you have the open-ended approach where students are given a leading question and formulate ideas in order to solve it. In this process, the students may end up wherever their minds (and motivation) take them. The teacher has almost no clue where the class is going, and the students are given ultimate control. If a teacher is presented with these two juxtaposed methods, they will wisely choose control. The following lesson is an example of viewing the classroom slightly differently. The original idea was not mine, but as one of my Education professors once told me, “Teachers make excellent pirates.” The original lesson plan came from Great Maths Teaching Ideas. They often tweet lessons with interesting connections to nature, sports, and society. The original lesson was framed under the framework of an “unusual way to teach plotting straight line graphs” by examining the linear function of cricket chirps and temperature. Other that that creative context, there was little difference between this problem and those found in textbooks. They created a worksheet where students were given a function, a table of values, and a grid to plot on. They were then asked a series of questions. A creative, real-world situation doesn’t necessarily constitute a change in teacher thinking. I took the context and blossomed its potential to include a variety of pathways and afford opportunities for students to practice multiple skills in a cooperative setting. Because of the close ties to science, I chose to place the problem in a lab setting. For background on mathematics labs see “Merit To Mathematics Labs”–an earlier post on this blog. They are not given the function which creates this graph for good reason. It only provides another opportunity for a students to create the function once they work with function notation. 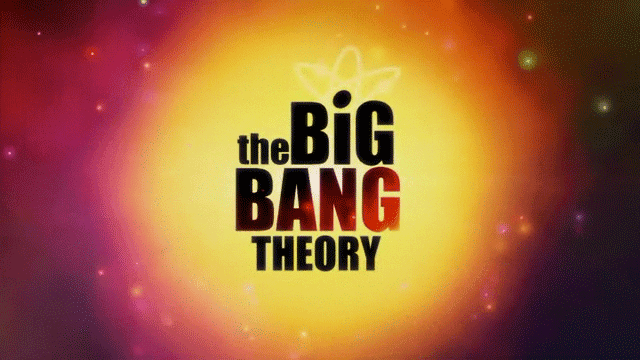 Once all students are settled, I call their attention to the screen at the front of the room and play the following video clip from the hit show “The Big Bang Theory”. It provides an engaging start to the lab. What’s the rate of change? What is the Domain and Range of the function? What’s the temperature if the cricket isn’t chirping? Can you know for sure? When students become comfortable with the first graph, I initiate new learning by preying on their unfamiliarity of the Fahrenheit system. 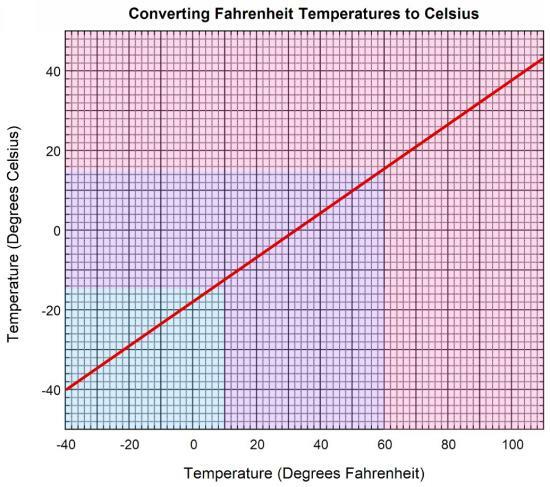 I ask them to switch from Fahrenheit to Celsius to make the graph more relevant. The only tool they are given is the conversion graph–they are not given a function. They are left to devise their own action plan. Should the scale be changed? Maybe the graph is exactly the same? Do we need a new function? How can we make one? What are our new variables? Which axis should represent each? This second part of the lab provides stratification for students that need it. Some students may struggle with the first plotting, and it gives extra time for them to learn it while providing an extension for those upper level students. It practices reading graphs and interpreting their results. Students will come out with two straight line graphs with unique slopes and y-intercepts. At this point, I ask the students to find the slope of the new graph and then compare them. Which temperature increases faster as the cricket chirps more? We then examine the “b” value in the equation. How does the constant translate onto the graph? We look back at their table of inputs to see what is going on. I might choose to grab a blank piece of graph paper and draw a random line on it. Can we follow the pattern to write a function to represent the new line? If students really excel, this a chance to introduce composition of functions. The teacher must be prepared to move along with groups at their own, individual pace. Some may rocket through the graphing but get stuck with the conversion graph. Others may need assistance with basic algebra in the first table of values. Assessment is two-fold. Students are required to hand in their lab sheet and graph stapled together with their names on it. Also, they fill out a quick self and peer assessment on how their classmates contributed. Most of the assessment are not surprising because I can gauge the feeling as I circulate from group to group. I make sure that I leave 10 minutes at the end of class. Five is used to de-brief the many learning styles that I saw around the class. I detail various strategies so students get the sense of the diversity. It also highlights hard work and increases motivation. The last five is spent on assessment and other logistical efforts such as hand-in and final questions. The context of the problem is creatively posed, but that is not what makes it full of rich learning. It takes a quick shift in teacher perspective to get the most out of creative ideas. Their task is pointed but autonomous. Here students work to expand on prior skills and create new understanding. We are working toward the connection between slope and y-intercept of a graph and the values of “m” and “b” in y=mx+b. A class like this creates an anchor lesson where I can always look back on and say, “remember the crickets”. Students dive in and create their own understanding through active learning. You don’t have to be the most creative teacher in the world to allow students to proceed on their own, you just need a little foresight as to where they may go.